FREE- 3D Walk-Thru With Every Custom Home Design . Have Land & Want to Build? Building your dream home is one of the biggest investments you’ll make. And, it’s a very personal investment. That’s why it’s important to choose the right luxury home builder – an experienced, reliable and honest builder – that can support you through your journey while offering intelligent ideas and professional advice to protect you from the pitfalls, ensuring that your dream home becomes a reality. 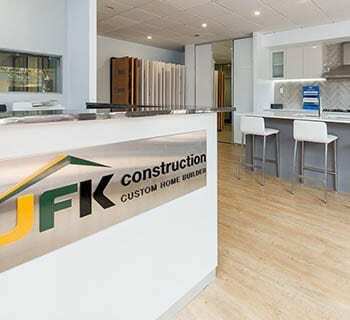 At JFK Construction, our luxury home builders in Perth are committed to getting it right, and have the building experience and expertise to make this happen. And like you, we don’t like nasty surprises, so we promise to deliver every project on time and on budget. Along with new luxury home builds, we also have an extensive range of contemporary home and land packages in Perth. With a vast range of flexible new home designs and loads of modern open living home plans to choose, there’s something to suit every family size.